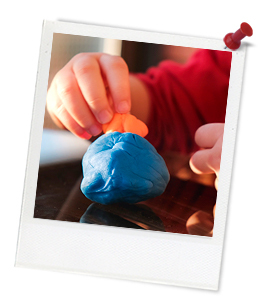 Quick summary: This lesson is focused on learning through play and hands-on activities. Students will experiment with ways to join various materials together, such as marker pens and natural materials to create their own sculptures. Students begin this lesson by considering the different qualities of natural materials and non-natural materials. They then examine the design of marker pens (including connector pens if available), and discover ways to reuse them as a sculptural material. By the end of the lesson, you will have photographs of all the students’ sculptures which you can share with your school community. Students will understand that objects can be designed for more than one purpose and that these designs can help us make more sustainable choices about how we use them. Students will create artworks using a variety of found materials to explore the materials’ differences. Students will pose questions about the nature of different objects that can be incorporated into their artmaking. Relevant parts of Foundation and Year 1 and 2 achievement standards: Students make artworks in different forms to express their ideas, observations and imagination, using different techniques and processes. They describe the purpose of familiar products and how they meet the needs of users and affect others and environments. Students pose questions about familiar and unfamiliar objects. Resources required: Connector pens or marker pens (at least 5 pens per student is recommended. It’s ok if the pens don’t work). Access to an area where students can collect a range of natural materials (like twigs, gumnuts, leaves etc.). Containers (for collecting the natural materials). Paper: scrap paper to draw on, 1 A3 sheet for extension activity. Inspiration Image – to project or one copy per two students. Connecting Connector Pens Worksheet – one copy between two students. Rubber bands. Sticky tape. Blu tack. Scissors (to share). Camera (to be used by teacher). ...understand that objects can be designed for more than one purpose and that these designs can help us make more sustainable choices about how we use them. ...create artworks using a variety of found materials to explore the materials’ differences. ...pose questions about the nature of different objects that can be incorporated into their artmaking. explain differences between natural and not natural materials and objects. create artworks out of a variety of materials. Teacher content information: Did you know that the plastic bodies of Faber-Castell connector pens are made of recyclable plastic? When they run out of ink you can pop off the gold end, remove the ink and throw them in the recycling bin. But even better than recycling - they can be reused. 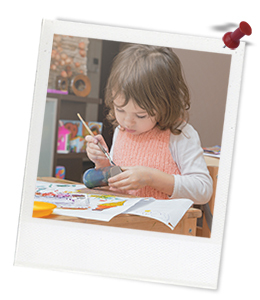 Because of their clippable design, connector pens can be used to make creative sculptures and objects.